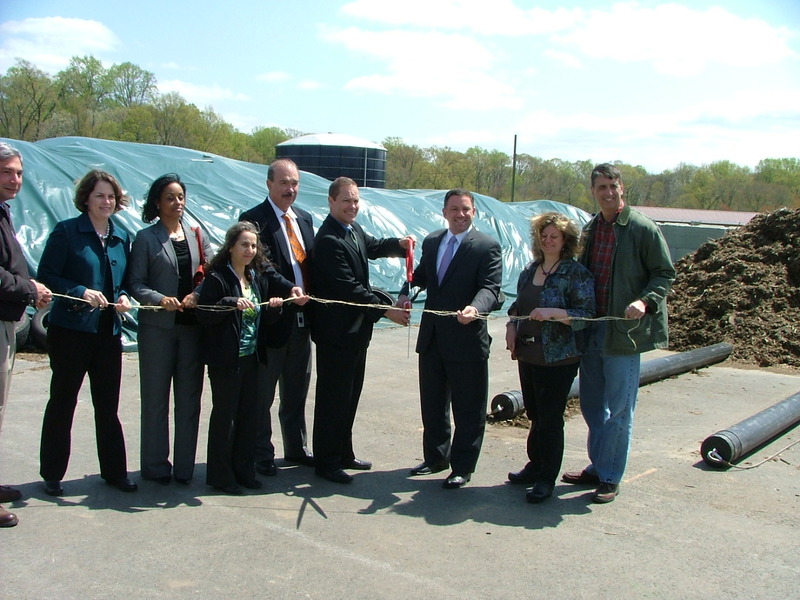 Howard County Executive Ken Ulman opened a state-of-the art composting operation today that will allow the County to double its curbside food scrap collection to 10,000 households, the largest in Maryland. The facility will operate at the Alpha Ridge Landfill in Marriottsville, diverting up to 400 tons of material a year from landfills and producing mulch, topsoil and other byproducts that will be sold to the public and used at county facilities. Food scraps and yard waste from Howard County homes will be brought to the facility daily, where the material will be ground, placed in piles and connected to an odor-control system. After about 10 weeks, the end products will be available to be sold to landscaping companies and residents. The facility is designed to control odors and run-off, and can be expanded in the future. The Alpha Ridge facilty cost $800,000 to construct. While it cost Howard County $41.50 per ton to remove regular household waste to a landfill in Virginia, it will cost $38.50 to process food scraps and yard trim at Alpha Ridge, selling the end-product.